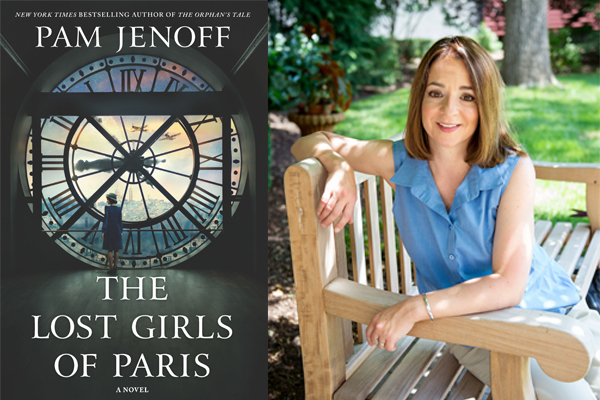 New York Times bestselling author of THE ORPHAN'S TALE, Pam Jenoff, will be at An Unlikely Story to discuss her newest historical fiction novel, THE LOST GIRLS OF PARIS, which uncovers the forgotten history of a female spy ring whose agents changed the course of the war before disappearing. Join Pam for a discussion moderated by internationally bestselling author, Jenna Blum. Beer and wine will be available at this event. Pam Jenoff’s breakout novel The Orphan’s Tale was an instant New York Times bestseller and has now sold over 350,000 copies and counting! Following up on this incredible success is a remarkable story of friendship and courage centered around three women and a ring of female spies during World War II. Based on true events, this is perfect for fans of The Alice Network and Lilac Girls. Grace Healy is rebuilding her life after losing her husband during the war. One morning while passing through Grand Central Terminal on her way to work, she finds an abandoned suitcase tucked beneath a bench. Unable to resist her own curiosity, Grace opens the suitcase, where she discovers a dozen photographs--each of a different woman. In a moment of impulse, Grace takes the photographs and quickly leaves the station. Jenna Blum is the New York Times and # 1 internationally bestselling author of the NOVELS THOSE WHO SAVE US and THE STORMCHASERS; the novella THE LUCKY ONE published in the in the anthology Grand Central; and the audio course “The Author At Work: The Art of Writing Fiction.” She was voted one of Oprah’s Top 30 Women Writers and teaches creative writing at Boston’s Grub Street Writers. She lives in Boston.